With parking currently a mess and very limited at Disneyland, it’s nice to see that Disney is finally taking some action. 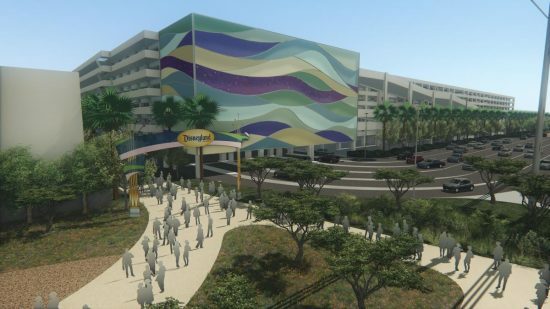 The plan is to build a new transportation hub, a new parking structure similar to Mickey and Friends, and a pedestrian bridge that will go over Harbor Blvd. Not only does this increase parking for the Disneyland Resort, it will also help the traffic flow on Harbor Blvd. With Star Wars Land coming, this will help bring more people in with less hassle. This is welcome news and the Orange County Register has more info and a video explaining Disney’s plans.